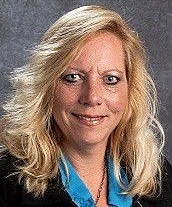 Watonwan County Attorney Stephen Lindee dropped criminal charges against Lisa Shellum, former Butterfield-Odin Public School (B-OPS) superintendent, on Thursday, September 14. This information comes from a Friday, September 15 post by The Free Press of Mankato. The charges against Shellum included felony theft by swindle and gross misdemeanor misconduct of a public officer. Lindee decided to not pursue the case any longer after receiving new evidence from Shellum’s attorney, Jacob Birkholz. Birkholz had presented Lindee with documentation disproving the charges that Shellum had submitted fraudulent expense reports. With the dismissal, Lindee did not go into detail concerning that evidence, but noted that the information contained in the documentation had led him to believe he no longer could prove beyond a reasonable doubt that Shellum had committed a crime. 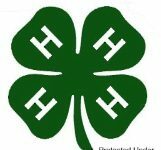 The Watonwan County Sheriff’s Office had launched an investigation after the school district provided the results of an internal investigation. Charges filed this past May alleged that Shellum had made false or illegitimate mileage reimbursement claims in excess of $1,300. At that time, a sheriff investigator had obtained statements from colleagues and other evidence indicating Shellum hadn’t attended a number of professional meetings and trainings that she had claimed on her expense reports in 2014 and 2015, according to the criminal complaint. In addition, the report by the investigator found that Shellum had claimed trips while on medical leave in February 2014. The complaint also accused Shellum of improperly requesting and receiving reimbursement for an August 2015 trip to the Twin Cities to meet with a personal attorney. However, according to The Free Press, Birkholz stated that he had provided Lindee with statements from some of Shellum’s colleagues confirming she was at many of the in-question meetings, as well as certificates of completion to prove that she had participated in many of those in-question trainings. Shellum claims that she was not actually on medical leave in February. Her attorney believes a time-off request form provided by the district to the sheriff investigator was forged. 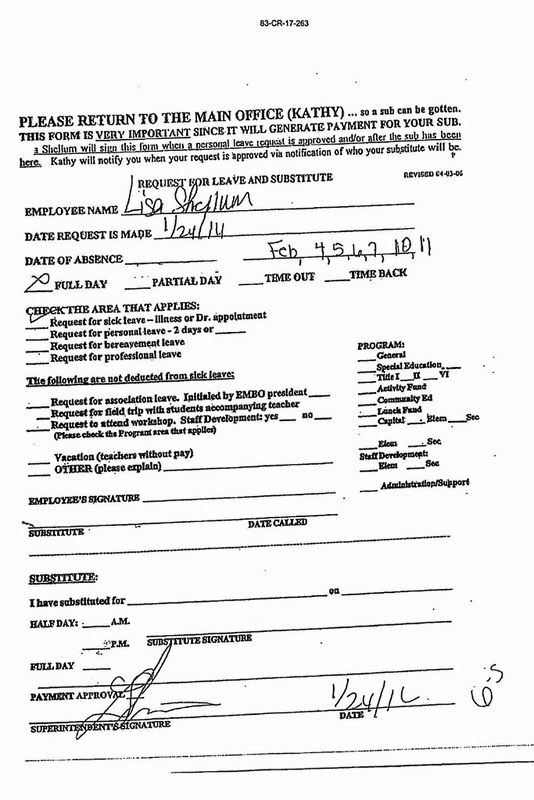 Birkholz compared Shellum’s signature on that form and it does not appear to match her signature found on other reviewed documents. Birkholz does not know who might have forged the document. Birkholz also submitted a statement from the attorney with whom Shellum met in August 2015. 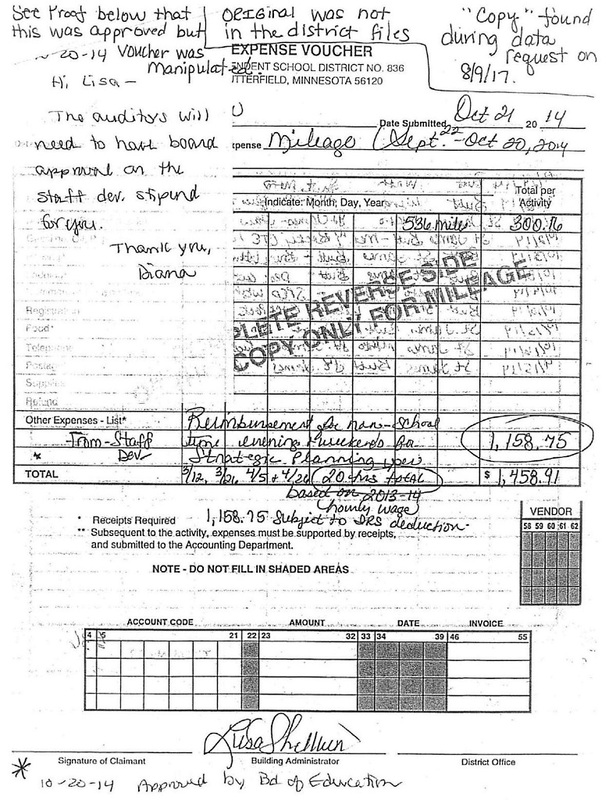 It was Shellum’s belief that the trip qualified as reimbursable because she was seeking legal advice on a concern about action taken by some of the school board members. Shellum declined an interview with the Mankato newspaper, citing the terms of a civil lawsuit settlement that prohibits her – along with school district officials – from making any “disparaging or negative” public comments. The Free Press also was not able to contact B-OPS Board Chair Kristy Haseman and current B-OPS Superintendent Ray Arsenault. This past spring, the school district agreed to their former employee $300,000 to settle the federal lawsuit she had filed claiming discrimination, defamation and wrongful termination. After the settlement, the district issued a statement that denied any wrongdoing and said the School Board approved the settlement to avoid a lengthy and costly legal battle.